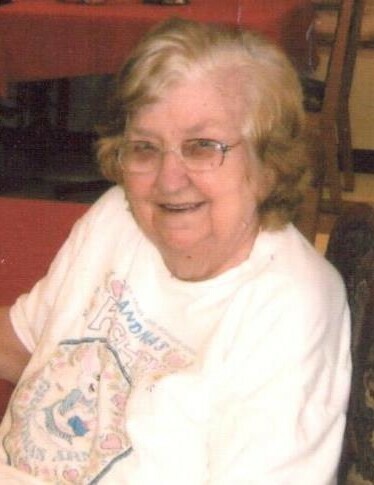 Josephine Coleman, 92, of Stanford, KY passed away on Wednesday, August 15, 2018 at Stanford Care and Rehab Center in Stanford, KY. Born July 6, 1926 in Lincoln County, KY to the late James Harvey Snow and Ida Mae Martin Snow, she was the widow of the late Lowell Coleman. She worked for 27 years for Stanford Mobile Homes and was a member of the Church of God faith. Survivors include one brother, Carlos “Boozer” Snow of Stanford, KY; and one sister, Maydell Taylor Snow of Kings Mountain, KY; her caretaker, Eva Edwards of Stanford, KY, and several nieces and nephews. In addition to her parents and husband, she was preceded in death by thirteen brothers and sisters. Visitation will be Friday, August 17, 2018 from 5-9pm at Spurlin Funeral Home Chapel, Stanford. Funeral service will be 1pm Saturday, August 18, 2018 at the funeral home with Jason Coulter officiating. Burial will follow at Gooch Cemetery in Kings Mountain, KY. Casket bearers will be: Kenneth Snow, Robbie Snow, Roy Yocum, Richard Yocum, Gilbert Rowland, and Ricky Bastin.